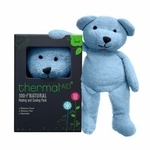 100% all natural Thermal-Aid® heating and cooling soothing animals help to provide your little ones a comfort in the form of a favorite stuffed animal. 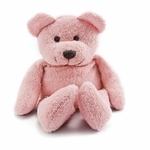 Simply a fun and great way to help relieve pain associated with any discomfort from scrapes and bumps to sickness. 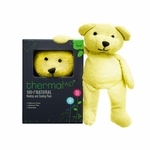 These lovable Thermal-Aid® products are not only for children but for adults as well. 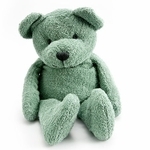 Let's be honest, adults need comfort when feeling aches and pains from sickness and everyday ailments too! 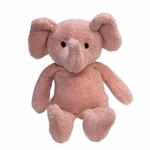 By placing the Thermal-Aid® Therapeutic Zoo Animals in the refrigerator or microwave they become the perfect soothing tool that both adults and children need to help provide that extra care. Aside from their outside appearance, their ability to lock in the temperature for long periods of time is what sets them apart from other products out there. No need for a washer or dryer, hand wash them and let them sit and drip dry. Cleaning them is a snap! Fever, Sunburn, Earaches, Flu Symptoms, Sprains, BeA Stings, Headaches, Sore Muscles, Growing Pains, Insomnia and Much More. 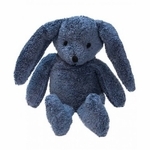 Place the Thermal-Aid® Therapeutic Zoo Animal in the freezer for 5 hours. 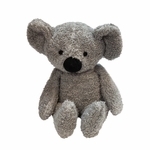 Place the Thermal-Aid® Therapeutic Zoo Animal on a clean surface in the center of the microwave for 45-60 seconds. Exact heating time may vary on microwave settings, products type and desired temperature. DO NOT allow the Zoo Animal to touch the walls of the microwave during heating. 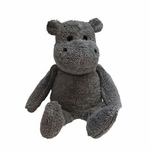 The therapeutic Thermal-Aid® Zoo Animal can be cleaned using a wet cloth. Hand Wipe Only. Do Not soak in water. Air Dry Only. 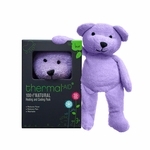 The Thermal-Aid® Zoo Animal must be fully dried before re-use. 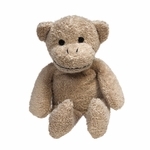 Use caution when removing the Thermal-Aid® Therapeutic Zoo Animal from the microwave. Extra caution should be taken by those who suffer from diabetes, nervous systems disorders, circulatory disorders. Warning: Not for use by individuals with corn allergies.